Alejo Carpentier is a commanding figure in Latin American literature and intellectual life: a novelist, literary theorist, musician and musicologist, journalist, publicist, and radio producer. After a brief association with the surrealist movement in Paris, he developed his own concept of “lo real maravilloso’’ (the marvelous real), a forerunner to the magical realist genre popular in Latin American fiction. Carpentier lived outside his homeland for many years, and his expatriate experience supplied the stimulus for his novels, which portray the encounter of European culture with the mysterious primitivism of the untouched New World. Two Childhoods and the Struggle for Reconciliation. Alejo Carpentier y Valmont inherited from his family background a Latin American cosmopolitanism. Born in Lausanne, Switzerland, on December 26, 1904, he was taken to Havana as an infant, and later claimed he was born in Cuba. His father was a French architect; his mother was of Russian descent and had studied medicine in Switzerland. His parents were new arrivals in the Spanish-American republic but not poor immigrants. Carpentier would later recall roaming in his father’s spacious library. Throughout his life, he struggled to reconcile the two worlds of his childhood: the sheltered European one of his home and the livelier world of Cuban blacks in the street. The Afro-Cuban Avant-Garde. Carpentier’s first language was French, and he spoke Spanish with a French accent. He attended private schools, and received advanced musical training at a prestigious Parisian lycee as a teenager. He began studies in architecture at the University of Havana in 1920. His education ended abruptly, however, when his father deserted the family in 1922. Forced to leave the university, he supported himself as a journalist. He wrote music and theater reviews for Havana newspapers and at the age of nineteen became editor of the avant-garde weekly Carteles. Later, he helped to found another influential periodical, Revista de Avance. By 1927 Carpentier had begun to distinguish himself as a promoter of the nascent Afro-Cuban movement, which introduced African elements into the arts. He wrote librettos and collaborated in the creation of ballets, comic operas, and experimental theater pieces. Carpentier and his companions viewed black culture as a source of creative and political energy, a rejection of European values. For them, Afro-Cuban art spread the spirit of rebellion and helped uplift the faith of black people in their own culture. The political situation in Cuba was becoming more chaotic. Rebellion was growing against the dictatorship of Gerardo Machado y Morales, who had come to power in 1925. During a roundup of dissidents in 1927, Carpentier was arrested and held for forty days. While in prison, he began writing Ecue-yamba-o!, an Afro-Cuban novel that would later become his first published book. Upon his release, he knew he was blacklisted and under suspicion. A French poet, Robert Desnos, allowed the Cuban to use his papers to escape to France. The Paris Years. Carpentier spent eleven years in Paris. Through his connection with Desnos, he became associated with the surrealists. He also met many Spanish and Latin American writers in Paris and Madrid. Carpentier continued to write for Carteles and other Cuban publications; his reviews kept the Cuban public informed about the artistic revolution developing in Europe. He even published a column on women’s fashion under the pseudonym Jacqueline. Carpentier began to work in radio broadcasting as a writer, publicist, and sound-effects specialist. Radio and advertising would be his occupation for the next three decades. He wrote experimental radio plays and collaborated on musical programs with avant-garde composers. While he was in Paris, he published his first novel, Ecue-yamba-o! (1933). The book fared poorly with critics, and he did not attempt to publish fiction again for more than a decade. Carpentier immersed himself in studying the history and culture of the Americas. He was fascinated with African religious and social practices, and the way these were transplanted to the Europeanized Cuban culture. Years later, Carpentier would attempt to reconcile the Spanish America that he discovered in books in Paris with another experienced firsthand; the gap between them would furnish the material for his greatest fiction. The Lost Steps. By 1939, the situation in Europe was growing tense, and Carpentier returned to Cuba. In 1945, he left Havana for Caracas, Venezuela, to work in advertising and radio. In Venezuela, he entered his most productive period. His first important publication, which he had started to research before leaving Cuba, was Music in Cuba (1946), a work of scholarship. In his attempt to trace the origins of Cuban music and the essence of Cuban culture, Carpentier reaches back to the first ballads sung by Spanish mariners of the sixteenth century and to the ritual music of Native Americans as well as Africans. Some of the important features of Cuban music were contributed by the first Haitian exiles. Researching this early stage in Cuban history brought his attention to Haiti and its revolution. A trip there in 1943 brought him face to face with the ‘‘marvelous real’’ in the landscape, myths, and history of the Americas and inspired him to write his historical novel, The Kingdom of This World (1949). This story of Haiti, told largely from a slave’s point of view, sets the values of the European Enlightenment up against the intensity of Caribbean culture, with its supernatural and magical aspects. Origin of a Reflective Stance. During vacations from his busy life in the metropolis of Caracas, Carpentier took trips to the jungles along the Orinoco River. Experiencing both a Latin America of the future and one of the remote past furnished him with the reflective stance found in The Lost Steps (1953), considered by many to be his greatest novel. The novel’s narrator, a musician, travels into the Amazonian rainforest in search of indigenous musical instruments and explores the possibility of evading time and casting off civilization. This allegorical story casts doubt on whether modern man, with his diminished urban existence, can recover his authentic nature in any guise. History and Revolution. In Caracas, Carpentier succeeded in becoming one of the best-known Latin American writers, but it was not easy. He was forced to help finance the publication of his books. A second edition of The Lost Steps in 1959 was widely circulated in the Spanish-speaking world. That year, Cuba underwent a communist revolution, and Fidel Castro became the nation’s political leader. Carrying the manuscript for his next novel in his luggage, Carpentier returned to his home country. He accepted the position of director of the state- run Cuban Publishing House in Havana. Carpentier completed the manuscript of Explosion in a Cathedral and published it in 1962. The book was a best seller and incited much political debate. It is a historical novel centering on the effects of the Enlightenment and the French Revolution on Latin America. It offers a model of Latin American fiction based on the history of the New World, expanding on the themes and problems posed in The Kingdom of This World and The Lost Steps. After Explosion in a Cathedral there was a twelve- year hiatus in Carpentier’s fiction writing. However, in 1964 he published a book of essays, Probes and Differences, that had an enormous impact on Latin American literature. The book republished his prologue to The Kingdom of This World, his fullest statement of the theory of the ‘‘marvelous real.’’ Invoking the magical presence he found in Latin America’s indigenous interior, Carpentier argued for a mode of narration that could incorporate miraculous elements without seeming artificial. His theory, appearing in the wake of the Cuban Revolution and the Latin American boom, created rifts among critics of the Spanish-American novel. Probes and Differences also contained Carpentier’s ideas on the baroque style, an important quality in Latin American literature and in his own novels. Later Career as a Controversial Figure. Carpentier’s connection with the revolutionary Cuban government transformed him into a controversial figure in Latin American cultural politics. While artists and intellectuals became disillusioned with the repressiveness ofthe Castro regime and its dependence on the Soviet Union, Carpentier remained faithful to the revolutionary government, turned his back on friends who did not, and refrained from criticism about government policies. The Cuban government rewarded Carpentier with a privileged position. He spent from 1968 until the end of his life in France as a cultural ambassador. He was allowed to receive royalties and publish outside the island, as other Cuban writers were not. Carpentier’s next work was his only satirical novel. Reasons of State (1974) concerns a dictator attempting to rule the fictitious Nueva Cordoba from his home in Paris, periodically returning to his country to control revolutionary outbreaks. A tragicomic figure of artificiality, he ends up with no control over anything. His final novel, The Harp and the Shadow (1979), is based on the life of Christopher Columbus. Readers find out that it was by seducing Queen Isabella that Columbus secured her help, thereby rendering the entire American enterprise part of an illicit love affair. Carpentier wrote the novel after being diagnosed with cancer; he died in Paris on April 24, 1980. Fidel Castro (1926—): Cuban revolutionary leader and head of state from 1959 to 2008. Jose Lezama Lima (1910-1976): Cuban poet and an influential figure in Latin American literature who wrote in a baroque style. Octavio Paz (1914-1998): Mexican writer, poet, and diplomat who also won the Nobel Prize. The War of the End of the World (1981), a novel by Mario Vargas Llosa. A novel based on the true story of a religious fanatic and his followers, who provoke a civil war in Brazil in the 1890s. The General in His Labyrinth (1989), a story by Gabriel Garcia Marquez. A fictional account of the ''Great Liberator'' of South America, Simon Bolivar, in his final days. All Souls' Rising (2004), a novel by Madison Smartt Bell. The first installment of an epic trilogy about the slave uprising in Haiti that turned a colonial outpost into the world's first black republic. Ines of My Soul (2006), a novel by Isabel Allende. The story of the origins of Chile told through the life of Ines Suarez, a sixteenth-century conquistadora (female conquistador). Malinche (2007), a novel by Laura Esquivel. A historical novel based on the love affair between conquistador Hernan Cortes and his Native American interpreter. Alejo Carpentier grew up in an affluent family and received a fine education. In his father’s library, he satisfied his curiosities as a young reader with classic French authors such as Honore de Balzac and Gustave Flaubert, as well as Pio Baroja, the modern Spanish novelist. While he spoke French at home, his association with Cubans of African, Indian, and Spanish origin influenced him as he sought to combine the European and American worlds of his childhood. Fueling the Boom. Carpentier’s literary theory—and works such as The Kingdom of This World, which put his ideas into practice—influenced the writers who created the Latin American literary boom of the 1960s. Two notables clearly influenced by Carpentier are Gabriel Garcia Marquez of Colombia and Carlos Fuentes of Mexico. It is reported that upon reading Explosion in a Cathedral, Garcia Marquez abandoned a draft of his most famous novel, One Hundred Years of Solitude, and started over from scratch. More broadly, Carpentier is acknowledged among the originators of magical realism. Although considered a major literary force in Latin America, Alejo Carpentier did not achieve widespread recognition with the American reading public. Critics have asserted that the erudite quality of his prose—discoursing on such disparate subjects as anthropology, geography, zoology, history, philosophy, musicology, and cuisine— may repel many readers. On the other hand, his work has rated better among French readers and critics. Both The Kingdom of This World and The Lost Steps won literary prizes in France. Taken as a whole, his writing is considered without parallel in twentieth-century literature for having defined the special role of Latin America in global culture and its mythologies. 1. Carpentier spent many years studying music when he was young. How are these studies reflected in his published works? 2. In what ways does the character of Columbus in The Harp and the Shadow represent Carpentier himself? 3. Compare the ‘‘marvelous real’’ in Carpentier’s fiction to magical realist authors such as Gabriel Garcia Marquez and Isabel Allende. 4. After the Cuban revolution, Carpentier became controversial for his acceptance of the Castro regime. What political issues and stances stand out in his novels? Gonzalez-Echevarria, Roberto. Alejo Carpentier: The Pilgrim at Home. Ithaca, N.Y.: Cornell University Press, 1977. Janny, Frank. Alejo Carpentier and His Early Works. London: Tamesis, 1981. King, Lloyd. 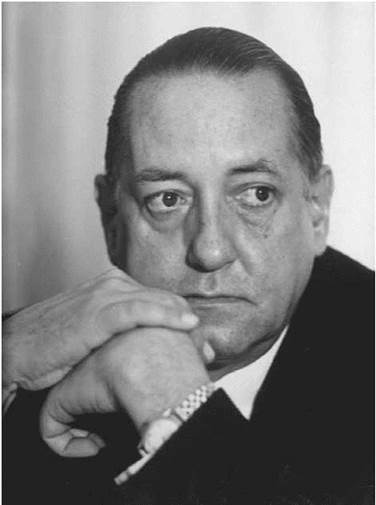 Alejo Carpentier, Caribbean Writer. St. Augustine, Trinidad: University of the West Indies Press, 1977. Luis, William, ed. Voices from Under: Black Narrative in Latin America and the Caribbean. Westport, Conn.: Greenwood, 1984. Shaw, Donald L. Alejo Carpentier. Boston: Twayne, 1985.
de Armas, Frederick A. “Metamorphosis as Revolt: Cervantes’ Persiles y Segismunda and Carpentier’s El reino de este mundo.’’ Hispanic Review 49 (Summer 1981): 297-316. Labanyi, Jo. ‘‘Nature and the Historical Process in Carpentier’s El siglo de las luces.’’ Bulletin of Hispanic Studies 57 (1980): 55-66. ‘‘To Eden and Back (review of The Lost Steps.’’ Time, October 22, 1956. Reprinted on the Time Web site at http://www.time.com/time/magazine/article/0,9171,824548,00.html. Accessed on April 19, 2008.